The more we get into the Vee engine dynasty, the more we get into the power. Here we are going to discuss the best cars with more than 8 cylinders. Those are the V10 cars, with tons of power, restless acceleration, massive speed and amazing handling. They not just cruise through the tracks and roads, but they even bring in the colors to racing imagination of humans. There are very few automobile companies that are creating the V10 cars. Notable among them include companies mainly from Europe. Certainly, European fellas are fond of speedy cars. But with the advancement the V10 cars are becoming obsolete. As the newer generation of cars with even lesser cylinders is quite fast and quick. It’s all because of emerging technology. As it’s mentioned that Europeans are fond of speed and acceleration. So here we have a European, the Audi R8. It comes with a 5.2 L V10 engine, with 540 horses to run. 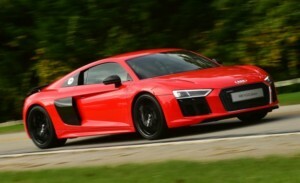 As per the popularity follow-ups, Audi R8 is among the famous V10 of the present day. It has the capability to reach 62 mph within just 2.9 seconds. And she can travel at 205 mph. Isn’t she a powerful deity? European after a European! Here we have the Spanish Supercar GTA Spano. Spano comes with an 8.0 L engine having 925 horses at 899 lb-ft of torque to run. Isn’t it amazing? Spano can reach 62 mph within 2.9 seconds. Her top speed is 230 mph. We have another Lamborghini on our list today. Well, this one is the Asterion, having the same engine that is being used by Huracan. She has a tremendous shape with amazing performance figures. She can reach 62 mph within 3 seconds with a top speed of 199 mph. 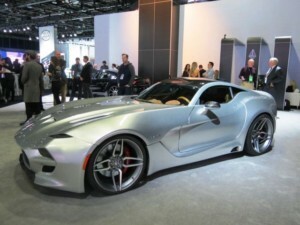 The VLF Force 1 V10 comes with an 8.4 L V10 engine. It has 745 hp of power and 638 lb-ft of torque. It takes 3 seconds to reach 62 mph and has the top speed of 218 mph. This is the second model from the company VLF. Force 1 is heavily based on the concept of Dodge Viper. It certainly seems that the Dodge Viper has been redesigned. Yet we get another monster on our fields. She is another European, but this time it is from Italy. The Lamborghini Huracan with a 5.2 L V10 engine with 601 hp of power and 413 llb-ftof torque. Hurcan was the god of Maya ancestry. While the Hispanics take is as a Hurricane. And though the Lamborghini Huracan is as fast as a hurricane. She can reach 62 mph within 3.2 seconds at a top speed of 202 mph. Let’s get to a monster. Though it doesn’t look like a monster, but she has a monster in her hood. 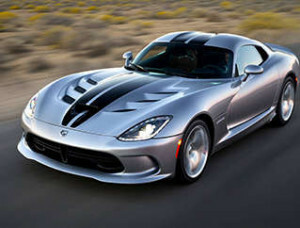 This powerful beauty is the Dodge Viper with 8.4 L V10 engine and 645 horses to run. She can reach 62 mph within no more than 3.4 seconds with a top speed of 208 mph. Let’s get back to Europe. Here we have another German fella, the Porsche Carrera GT. This baby has the 5.7 L V10 engine with 605 horses at 435 lb-ft of torque. Carrera GT can reach 62 mph within 3.9 seconds with a top speed of 208 mph. The Conquest Knight XV has its own grade. 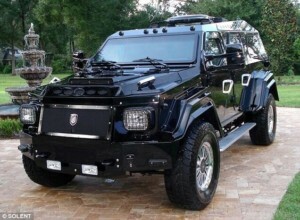 It’s a handmade SUV with an armored body. This monster was launched in 2008 and is still in production. It has the enormous 6.8 L V10 engine. Don’t expect much with the performance of this monster. Rather it lies among the expensive vehicles of the world as well. It has 400 horses to run. And it is ranked among the highly secured vehicles of the world. The Ford E – Series is a full-size van series. 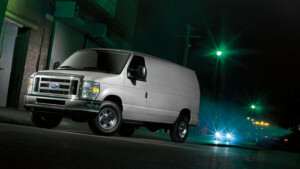 The specified model carrying the V10 engine is the Ford E 350. It has the 6.8 L Triton diesel engine. There is nothing much to discuss pace and acceleration. But all that has to be discussed is the towing capacity of the E 350. And this what it shows that it has immense power to tow almost 10,000 lbs. 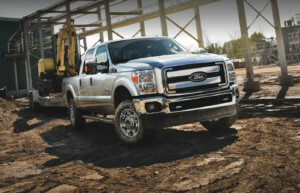 The Ford Super Duty is another heavy vehicle in our category of V10 cars. It even carries the same engine as that of the Ford E – Series. Even the displacement is same on both the vehicles. However, 2016 was the last year for this truck. From 2017 another displacement will be launched for it.